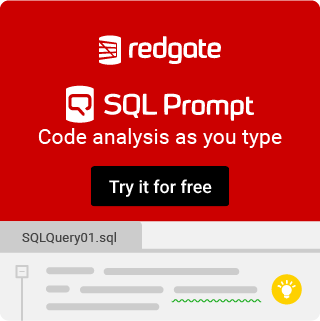 How to fix this SQL Query ? I am using a StoredProcedure that was working fine until I added another CASE to it. When I added the second CASE to it, it was no longer working well and I don't why. The SQL Query: select * from ( SELECT TOP (100) PERCENT dbo.divisions.DivisionShortcut, dbo.employee.EmpOrgType, dbo.employee.Name, t1.Username, courses_2.CourseName, CASE WHEN dbo.employee_courses.courseid IS NULL THEN str(t1.courseid) + '', NO'' ELSE str(dbo.employee_courses.courseid) + '', Yes'' END AS CourseId, CASE WHEN dbo.employee.EmpOrgType 1 THEN ''Aramco'' ELSE ''SMP'' END AS Org FROM dbo.Divisions INNER JOIN dbo.courses AS courses_2 INNER JOIN (SELECT employee_1.Username, courses_1.CourseID FROM dbo.employee AS employee_1 CROSS JOIN dbo.courses AS courses_1) AS t1 ON courses_2.CourseID = t1.CourseID INNER JOIN dbo.employee ON t1.Username = dbo.employee.Username ON dbo.Divisions.SapCode = dbo.employee.DivisionCode LEFT OUTER JOIN dbo.employee_courses ON t1.Username = dbo.employee_courses.employeeId AND t1.CourseID = dbo.employee_courses.courseId ORDER BY t1.Username) DataTable When I added the following line to it: CASE WHEN dbo.employee.EmpOrgType 1 THEN ''Aramco'' ELSE ''SMP'' END AS Org I got the following error: > Msg 156, Level 15, State 1, Line 8 > Incorrect syntax near the keyword > 'WHEN'. Msg 156, Level 15, State 1, > Line 13 Incorrect syntax near the > keyword 'AS'. How to fix this error? I am using SQLServer Management Studio and this is why I am using this. The first CASE is OK but the problem now is with the second CASE. Are you sure you are looking at the Org output column? You have dbo.employee.EmpOrgType in the SELECT list as well. If you do not want that then get rid of it in the SELECT list. Sorry, what I meant is I don't want to generate a new column. what I want is just replacing the value for the EmpOrgType column and rename it as Org. How to do that? Take out the ' after Pos.Dpt. Yeah, see, what's happened is something is knocking out all your bits where you have SELECT ..., '' AS foo, '' AS bar, ... and converting them to SELECT ..., AS foo, AS bar, ... which makes no sense.